Why is Fluffy Attacking Scruffy? 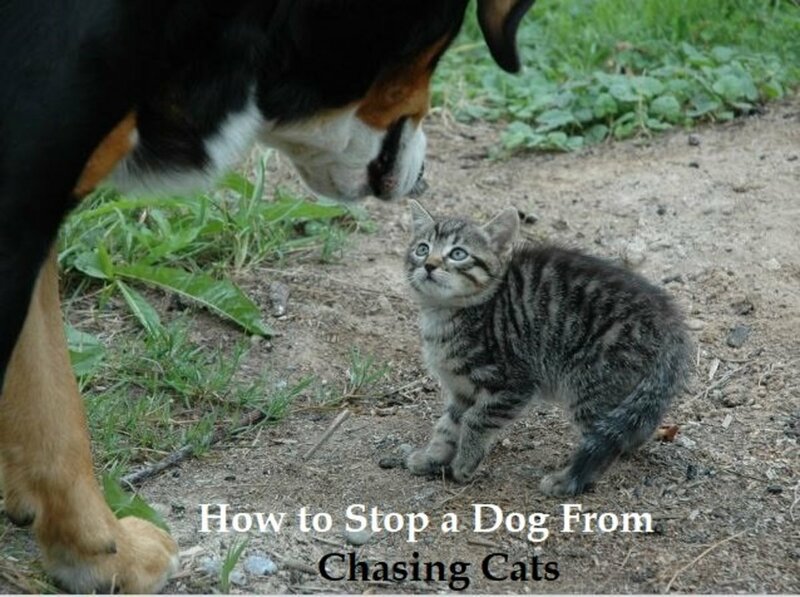 You may be wondering if you read the title right, yes it's "How to Stop Cats from Attacking Dogs". We are so used to the image of dogs chasing cats, attacking cats and even eating cats for breakfast, or as a quick dessert, that thinking the opposite sounds really odd. Perhaps, this is due to the fact that television shows and newspaper strips are overpopulated by images of canine-to-feline aggression. All it takes is watching cartoons boasting Hector chasing Sylvester and Spike chasing Tom, and soon cat-chasing behaviors seem to be normal behaviors just as cats chasing mice. Yet, what do you do if it's the other way around? Wait, did I hear right? Well, believe or not, there are cases of kitties turning wild and attacking dogs! I did have clients come up to me and ask me what to do about it. After reminding them I am a dog trainer and not a cat trainer, I did own cats and dogs at the same time in my life and my advice has been helpful to them many times. Luckily, in many ways dogs and cats behave in the same ways, so it does not take rocket science at times to apply a bit of knowledge in learning theory and apply part of it to cats. For a good reason, many dog behaviorists are also cat behaviorists, and interestingly, the number of cat behaviorists is growing at a steady rate and so are shows about dealing with cat behaviors. So why is Fluffy attacking Scruffy? As in dogs, there can be many reasons. It could be prey drive, just as some cats like to chase and bite your ankles as you walk by or lay in bed, some bold cats may decide to play rough and attack Fido. However, more likely than not, I see a fear component at play. It all ultimately depends on the circumstances and what happens. If Rover is being boisterous, rest assured, more likely than not the attack was not unprovoked, Fluffy is just tired and telling the dog to stop. Most dogs, are not that great in reading cat body language, or some may care less, so after sending dozens of "leave me alone" signals which go ignored, sweet Snowball may go quickly to plan B and decide to attack rowdy Rover. Most cats are by nature aloof, reserved, and some barely accept being pet for more than a few minutes, so it makes sense for kitty to have had enough after your dog has been in her face for more than a handful of minutes! Most cats will most likely flee if they have had enough, but if the cat is cornered and feels threatened, a scratch or bite is often the next option. As in dogs, cats are subject to the flight or fight response, and when the flight option is taken away, the fight option is the next step. So when your cat can't flee, expect your cat to resort to plan B and follow through! This is by far your best option as you try to figure out your plan of action. Through management, you are basically keeping everybody safe. So let's say, Rover pesters Fluffy and Fluffy attacks because she has no escape route? Then you will provide that escape route. Make sure you create areas that are accessible to Fluffy only so she has a safe place to go and rest assured Fido will not follow. A baby gate with a small entrance on the bottom, a cat tree, or a high window perch is all it takes. Other options are keeping cat and dog separated when you are not able to supervise. While this sounds like common sense, often the most common solutions are bypassed. 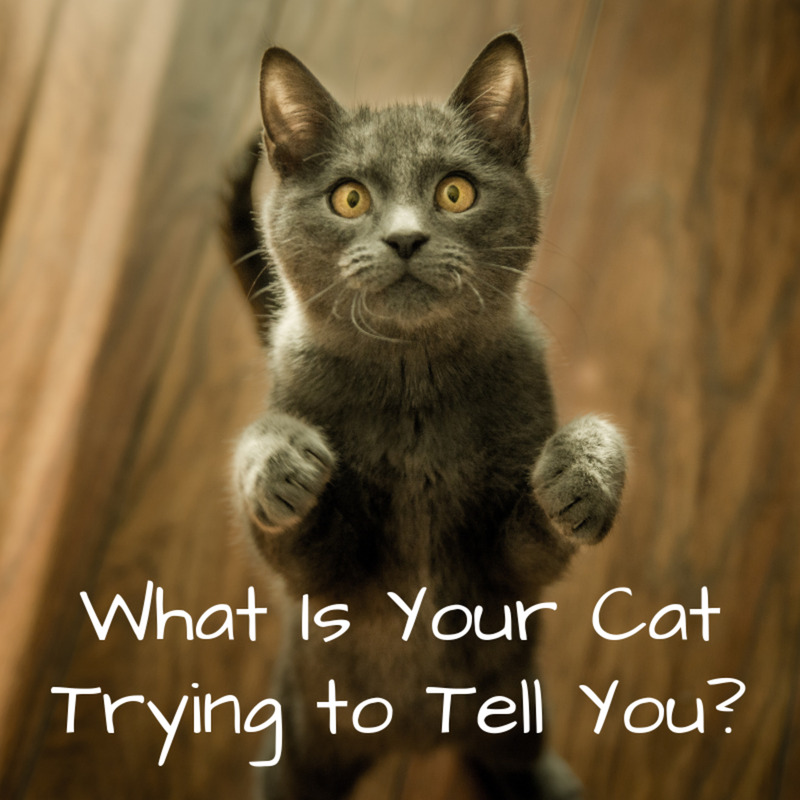 Is your cat stressed by a new dog in the home? Have there been recently new changes? Cats look pretty much like strong creatures, but they are very sensitive to the slightest changes. If your cat is stressed and overreacts, she is over threshold levels and this sort of stress is self-reinforcing. Basically, since your cat's aggressive behavior works in keeping your cat safe and in making Rover leave, it is reinforcing. Basically, your cat thinks that because hissing and scratching keeps her safe and makes your dog leave or makes you come right away to stop the interaction, it needs to be repeated. Just think about being in school and dealing with a bully, if every time you scream and try to slap the bully, the bully backs off or your teacher comes readily to your aid, most likely you will continue the screaming and slapping behavior. So to change things around, you need your cat to feel safer and calmer. You may find that some over-the-counter products such as a Feliway plug-in or Composure soft chews may help as you try to work on the problem. Some cats have a strong prey drive and will chase and pester poor Rover. Usually, cats will do so with smaller dogs or puppies. Many will love to pounce on that wiggly tail! But as the puppy grows cats may learn to choose size wisely and better not mess with the big beast. In such a case, it helps to re-direct your cat to a more acceptable form of play. When you start noticing the behavior, try to interrupt the interaction and grab kitty's attention by dragging a string with a piece of aluminum foil attached. She should go for the new toy since it is a novelty and leave poor Rover alone. 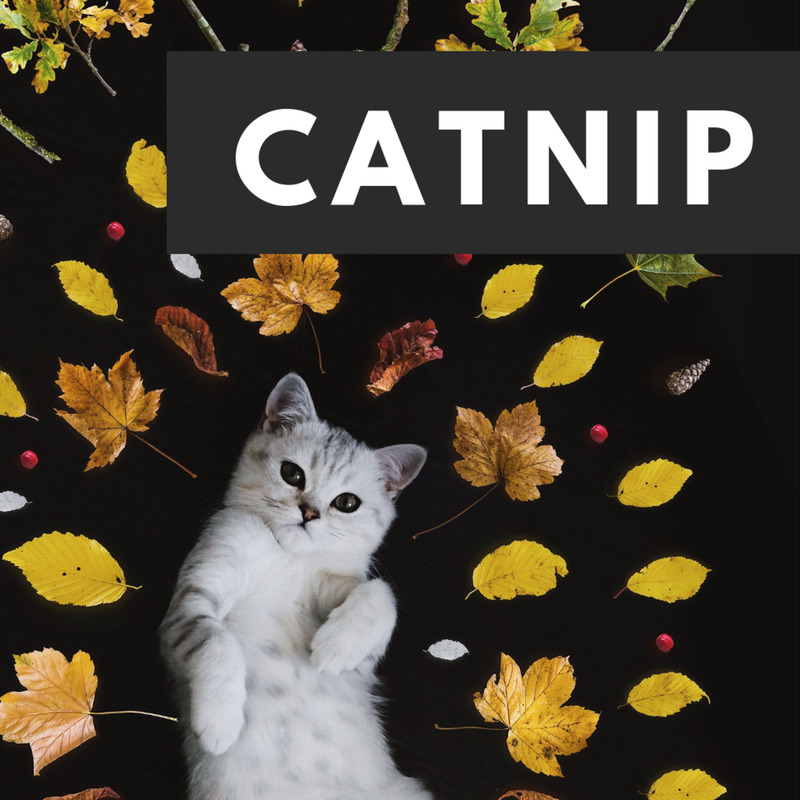 Make sure your cat has plenty of catnip toys, and even some interactive ones to keep her interest alive. Some advise to attach a leash to the dog so the cat plays with the leash rather than the dog, but the leash can be caught somewhere so I do not feel too comfortable with this piece of advice. Cats are prone to a behavioral problem known as cat re-directed aggression. Basically, they may see a trigger outdoors, get highly excited and then re-direct on poor Fido, and sometimes, even the owner. If this is the case, it helps to block access to windows and prevent the cat from seeing the outdoors. Placing kitty in a dark room, will help calm down Cujo-Kitty. Dogs are not the only ones to be possessive; cats can be too! Your cat may not be that eager to see Rover putting his face in your cat's food bowl or sniffing her litter box. If your cat has never shared the home with a dog, this may be quite annoying to deal with. If your cat acts aggressively, whenever your dog approaches any resources (food, toys, sleeping areas, play areas) your cat may be attacking due to possessiveness. Make sure you prepare a separate area just for kitty, and do the same for Rover, he can get upset too if kitty approaches his bone or food bowl and it won't be pretty! Stress may be a temporary problem and prey drive can be re-directed, but in some cases, the levels of energy of cat and dog are too different. 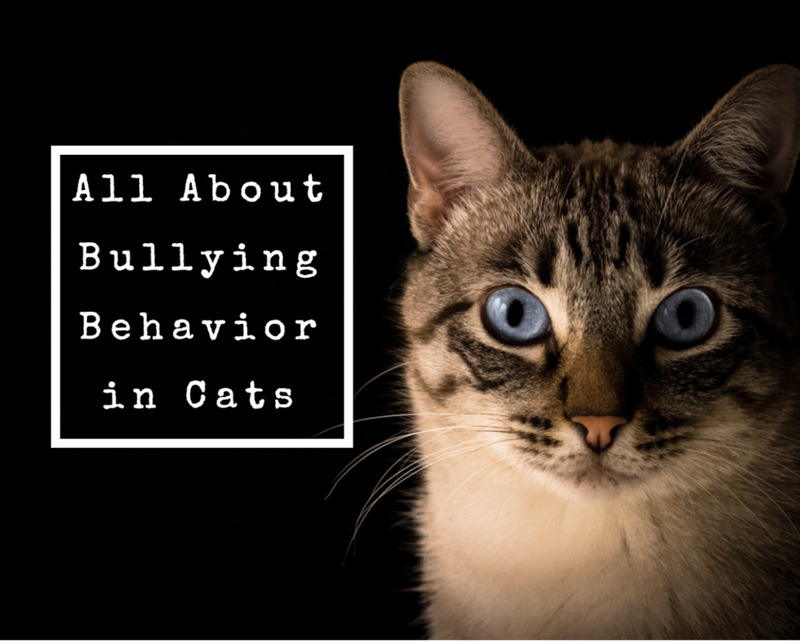 Animal behaviorist Dr. Gary Landsberg claims: "The biggest problems are related to specific compatibility issues where the dog is too playful and the cat is too fearful [or] a cat that is fearful and aggressive and a dog that does not know how to react." In this, case it is worth wondering what you can do to make life much better. 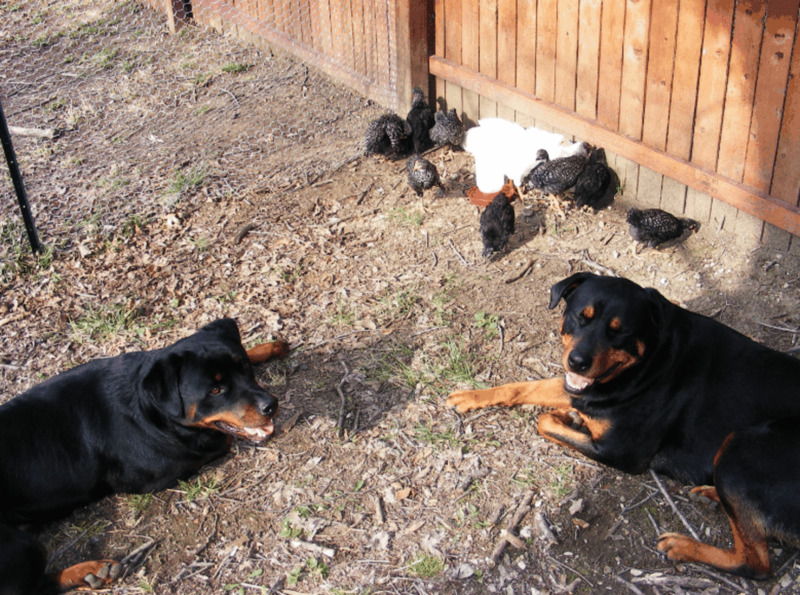 In such cases, it may be kinder to keep the two animals always separated and if this is not an option, re-homing one or the other is in the best interest in your animals. If you have had your cat for a long time, and you have a new puppy, you are better off re-homing the puppy. For this reason, it is best thinking well over new additions. Impulsively adding a new pet, as in this case, can be deleterious. Desensitization and counter-conditioning works in cats too! Make sure you reward your kitty when she sees Fido and behaves. You may need to do this from a safe distance first and then increasingly allow closer encounters. If kitty gets nervous at any point, work from a farther distance. Make a sudden startling loud noise such as banging two pot lids together. Toss some water over the contenders using a bucket or water from a hose. Throw a blanket over cat and dog. Never get in between cat and dog, doing so may make you prone to re-directed aggression! Disclaimer: this article is not a replacement for professional behavioral advice. If your cat and dog are fighting consult with an animal behaviorist that can assess the situation first hand and suggest the most appropriate program. Never leave cat and dog together unsupervised no matter how well they get along. I introduced a new puppy to my three cats. My older dog passed earlier this year, so I didn’t think there would be a problem. The two older cats have accepted him, but after roughly six weeks my youngest cat continues to attack the puppy for no reason. What can I do? 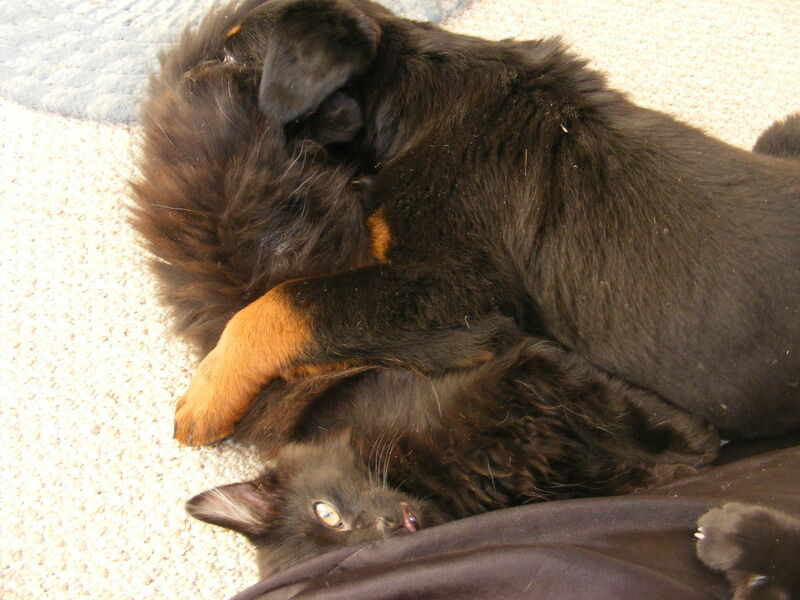 You are likely seeing a stressed cat who is redirecting on the puppy for some reason. It is difficult dealing with stressed cats or cats prone to redirected aggression. 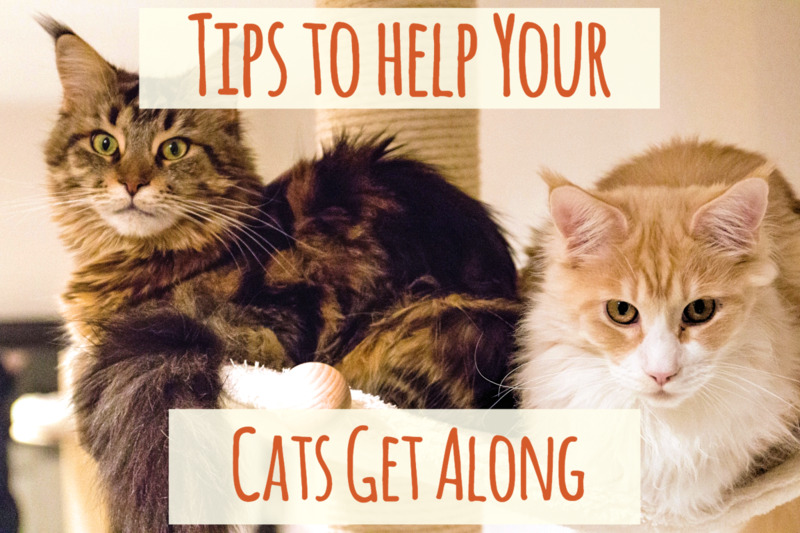 You can try calming aids (Feliway, calming products) and providing your cat with areas to retreat to if the puppy's boisterous behavior stresses the cat. You may have to keep the puppy and cat separated though if this continues as injuries to the puppy are possible (especially the puppy's eyes). My cat has been with my dog for over two years but recently started attacking the dog. It's rather scary; the cat just goes crazy. We have been supervising the cat and dog and when not home the cat is locked downstairs. Do you have anymore suggestions? It may help determine whether your cat may be ill or stressed. Feliway may help some cats calm down. Some cats get very aroused or stressed if they see things out of the window and then redirect it to people or other pets. Blocking windows may help if this is a case of redirected aggression. My puppy gets agressive with me when it comes to taking things away that she knows shes not supposed to have such as garbage and when the puppy growls no matter where our cat is she will come running and attack the dog is it common for cats to be extremely defensive over their owner? This is referring to a dog in a cat's face. My cat growled and will stalk my dog whenever she sees him across the room. He avoids walking past her. our 7 year old cat aggressively attacked our 6 year dog 4 times 2 days ago. It was completely nuts! She has never been aggressive & has always been a really sweet cat. A little timid & scared but never mean. The fog never provoked her or fought back & kept running from her but she kept at it like she really wanted to hurt him. I took our cat to the vet after this happened & she is in really good health. They gave me some meds to calm her & I had them separated for 2 days. Today I tried to reintroduce them & it was all good for about 2 hours. The cat ran up on the dog but didn’t attack cause he ran away. So I separated them again, they are both indoor animals & used to roaming free in the house. Help please!!! I have a 16 year old 4.5 lb russian toy terrier and a 2.5 year old 14 lb cat. Luna (cat) is very prey driven. She stalks Cruiser (dog). There have been a few attacks since we brought Luna home 5 monrhs ago. We are using a water bottle or loud noise to redirect her. Cruiser seems to get more scared every day. We have three cats that we have no intention to get rid of, but we would really like a dog. We were going to dog-sit for a friend, but the second they brought the dog in, the one cat got REALLY defensive. They had to bring the dog to someone else since the cat was hissing, jumping on the dog, biting, and scratching. He even ended up scratching the dog in the eye, which started bleeding. We really don't know how to asses the situation since we would really like a dog. We're not sure how to train the cat to stop this behavior. (the other two cats don't really mind dogs) Even if we got a calm, quiet dog, that wouldn't fight back, the cat would still attack it. What do we do? Please help. i just got 2 new kittens about a week ago and the meet them with my other cats have been sorta decent few hissing and growing but no fights but the other problem is my dogs.. one of the kittens doesnt seem to mine the male one.. the female one in the other hand hisses and spits even thru a carrier when she is come when the dog appoaches even sitting she still doesnt get it. i have scent towels by the thier food dishes. i would like to keep this cat but im not sure what else to do any more..
Kelly, sounds like you are on the right track. If she reacts this way, she isn't ready for that level of close interaction yet. Keep your dog at the distance she tolerates best, you might need to keep leashed for a while until your cat seems more relaxed and you can allow closer interaction. Make sure your cat is not cornered and has escape routes so she can choose to leave rather than act defensively. Newly adopted 2yr old cat. No record of her history. Very sweet to me, but after 3 weeks has started to attack my senior jack Russell, who isn’t bothering her. She seems to be jealous. Or possessive of me. I don’t know her history, I want it to work out, but there is no change in her aggression toward him. First of, thank you for your article. I've had my dog Amber for 9 years and she's very calm and accepting to all new people/animals. I used to have a cat that she got along very well with. Two days ago I adopted a 7 mo. old female cat, Ava, and my dog was calm and curious to meet her. Unfortunately, the cat acts aggressively toward her and it scares my dog. Initially I kept them separated so that they could get used to each other's smells and the cat could become acclimated. I slowly began to let them out in the same room with supervision. Initially this made the cat growl and hiss. But now (day 2), they are at a point where they tolerate being in the same room with each other, but if the dog gets too close (within a foot or two) of the cat, she swats at her and shows aggression. Is there hope for them? What should my next step be? Cat from back yard neighbour cut through my property early am and calls to other cats in aggressive manner. It is on my patio around 4.30 am and wakes my Dane then out front of property with other cats..my problem is when I let two Danes out 6am it decides it will befriend them much to their amazement and I have to chase it with hose. It sprays in my yard and I don't want this crazy cat. ???? I have a outside cat he was a stray he is about 9 months now and fat and he trya to kill our puppy sketter he is 8 weeks old when i take sketter outside leo sometimes attacks him. My cat is just playing, but he keeps scratching and biting us, plus our dogs. How do we make him stop. He is about 9 months and has been fixed. Tina, sorry you find the advice ridiculous, but consider for a moment your setting. There should be no dogs coming in your home or yard like that. Are they your neighbors' dogs? By letting these dogs come all the time, your cat is getting to rehearse the bad behavior which is obviously not good. Practice makes perfect. You can't expect your cat to grow a halo on the head and become angelic if he/she continues to rehearse this behavior. 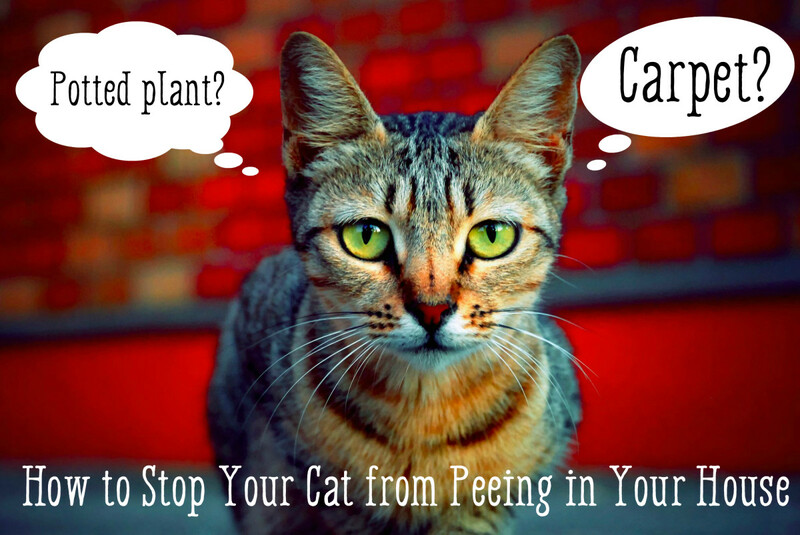 If your cat poops on your bed, why not close him/her in a bathroom or a laundry room with his/her litter box? This part may help "Make sure you reward your kitty (tasty treat) when she/he sees Fido and behaves. You may need to do this from a safe distance first (dog leashed under control) and then increasingly allow closer encounters. If kitty gets nervous at any point, work from a farther distance." Gradual but steady progress may be seen if this is done step=by-step. I have 1 year old terrier mix pup who mainly stays with my parents and recently adopted 2 kittens who are 6 months my tuxedo cat does not like my pup at attacks him a lot even stalking him sometimes the poor pup is so fearful he barely moves around the house and hides in my room, I can see he (pup) wants to be friends but is too scared, the other kitten sometimes swats but never with claws but will join his brother to try and jump the pup while the tux will hiss at the pup and try and claw his face even hissing at me when I try to grab the dog. What can I do other than not let the pup come and visit? Hi Adrianne, thanks for the article! I'm really struggling with my pets at home. We have two adult cats, one gets on great with the dog, the other is an adopted feral & she absolutely hates the dog! My cat attacked my boxer when he was barking in his own area and cat hasd run of the house. He has attacked the dog when he is sleeping even. The cat is evil yet here I am spending over$25 a week on his special foodfixing to be somebody elses probledm if I cant solve this. My family took in a stray cat that we've now had for about a month or so, but we have a dog who is a rat terrier dachshund mix (he's smaller than the cat) and my cat will frequently approach my dog and attack him, and it seems unprovoked. I think it from fear since my cat seems very skittish. My cat seems to be getting better with not attacking him, and they even sniffed each other a few times within the past few days, but at the same time he tends to not be around him to even attack him. I stick my hand in between when my cat and dog fight. Dog immediately stops and backs away, cat sometimes accidentally scratches me but never badly (he's obviously "pulling his punches" for the dog). I don't leave them alone together usually because the dog pesters the cat to play and the cat gets fed up and attacks her, which the dog interprets as play, then the "play" turns into a fight as it gets increasingly rough... leading to needing to be separated by me. They don't seem to hold any grudges after a fight and will still curl up together and groom each other. Ussually my boys are good. But when the pupppy yelps, vicious attack mode is activated in my cat. Any way to break the habbit in cats? My cat growls and hisses At my dog. He is very active and playful I think it is anxiety directed as aggression if anyone moves to fast she gets scared runs or hisses sometimes she will get you I don't know what to do. We live in a zoo. 5 cats, 3 dogs, a Dachshund, a young Cocker Spaniel, and another much older one, 2 rats, and two fish. One day, my cat Nikki suddenly became very aggressive towards our older cocker. She's been known to swat at our dogs a bit, but she outright attacked Pippin, sinking her teeth and her now clipped claws into his skin, drawing blood. (We disinfected him, no worries.) I looked up a solution, and found this. Sure enough, Nikki was probably watching our younger dog Ari chase lizards around our front porch, and decided that our more sickly dog was an adequate target. We closed up all of the windows with curtains and prevented Nikki from seeing Ari (attempt) hunting. She's much calmer now, and leaves our old doggo be. Sarah, you are already doing the best you can by keeping them separate. It sounds like something stress related or perhaps re-directed aggression from seeing stimuli outside. There are chances it may re-occur so best not to keep your guard down. What about a group of cats ran across the street and attacked my dog? I have lived in a small homeowner community for 5 yrs and for some reason today the cat down the street attacked my Pomeranian and my neighbors Pomeranian while she was walking them leased around the block which we do daily. My dog took the brunt of it, the cat rolled her a few times and she tried to get the cat away with her cane and screaming. Another neighbor and our caretaker shooed him off and untangled the leashes. I think she is ok but she is squinting with one eye so maybe vet visit in the morning. Can't figure why the damn cat would attack them after 5 years of them all being here. Just this morning while walking with my dad and my american bully a cat suddenly rushed from a house and attacked my dog. Fearing that our dog might fataly bite we restrained our dog by pulling while the cat unbelievably jumped and attacked my dog leaving a scratch on her nose bleeding. I picked up my dog and carried her and that cat to our surprise is waiting and even attempting to reach my dogs tail. The cats owner said that his cat does it all the time to dogs passing by their establishment. People were looking in disbelief of how the cat was aggressive. That was an eye opener for me that cats can be very aggressive towards dogs. My cat of 4 years is a bengal, I just bought a 1 year old jack Russell crossed with chiwawa. As soon as my cat seen the dog she goes into hunting mode and wants to kill my dog. She's making all those vocal hunting noises and will not back off from the dog, I pick the dog up and she just jumps on a nearby shelf trying to get nearer to the dog. I just had to keep them apart in separate rooms. Then she sits near the door as if she's waiting for it to be opened, growling and hissing at the dog. I had to rehome the dog as doubt she'll stop trying to attack her. I thought I was alone with a cat and dog problem. My husband and I have one cat and one dog,The cat has been with us 5 years and the dog around a year, There was quite alot of tension at first with the cat realy not happy with our chihauhua, but over time she seemed to get to like him and they play and she licks him now and then.Then in the last few months she started to attack him when he is laying in my husbands lap.They both love him more than anyone and dont like to share his lap much, but the attack is new. Is this possessive behavior? Hopwcan I make her feel more loved when she already gets so much love from and all of us? I feel horrible about my husband who is in the middle and never gets out of these attacks without scratches and blood. Cats get easily stressed when there are changes in their environment and to your cat's eyes a puppy is different from the dogs you used to have. In what circumstance does the cat attack? Is the puppy cornering the cat? chasing the cat? it may take some time for them to get used to each other. I would recommend not leaving them alone and always supervising their interactions for safety. Hi. I just purchased a pomeranian puppy she weighs about 2 pounds. We recently had to put our other 2 dogs to sleep and got the pom to help with the pain of the loss. We also have 2 cats and out one cat skittles is about 20 pounds she is attacking the puppy. She has drawn blood twice both times near the puppies eye. She doesn't attack her when we are in the room only when they are alone. I'm really concerned and confused because the cats have always gotten along with our other dogs. It sounds like he doesn't like dogs and is trying to chase them away. Some cats will run away and hide, others may take a more heads on approach. You are right to be concerned as if he encounters a dog that doesn't want to be messed around with, it could quickly turn into a fatal encounter. I would take him out only on a harness to explore the neighborhood instead of letting him roam alone. Dogs aren't the only danger, there are cars, people who have no problem poisoning cats that pee around their home, fights with other neighborhood cats etc. Hi! I am shocked at my cat's behaviour, and don't know what to do now. I adopted Mu when he was 1 y.o. Now he is almost too - he is sweet, and never attacks other cats, he sometimes like to play with me and that's when the claws come out - but nothing serious. He never runs away when I walk with him, and he is very scared of ppl. My mother and I have noticed on several occasions that he acted weird in the presence of a big Labrador in our neighbourhood, but because of the owner our Mu never approached the dog. Today I took him to the forest. There he attempted to attack one rather large dog, that ran towards its owners (thank God), and I thought it was just some sort of game, because the cat is not aggressive at all ever! But right afterwards, he attacked another dog - a smaller one in size. It was a real fight, and the dog seemed scared shitless as the cat kept jumping on her back, and was super angry. Mu was not making any noise - the dog was however. The dog's owner didn't see the whole thing, and thought it was dog's fault. But even when "apprehended", Mu kept trying to get to the poor dog. Could it be due to his breed (he's half Norwegian Forest cat and half moggie)? I am worried sick that when we move to an apartment on the first floor, he will go around neighbourhood attacking dogs, and then there is this one Rottweiler... What should I do? I will be grateful for any advice. Thanks in advance. Sounds like a very stressed cat. Perhaps look for Feliway or other calming aids for cats. An easy fix is simply keeping the two separated, I know it can be a pain, but the more they attack each other the more a vicious cycle will form. Perhaps with time Avi will calm down once those stress hormones lower. I left my cat with my family while i went to a friend's for a week. We have had our dog Sandy for a 6 months she's still a puppy and had been known to chase the cats when she first got here. Now my cat Avi had turned her panic from me being gone for so long to attacking sandy. I can't let her out of my room anymore without the fear of the dog attacking her and pinning her which I've had to break up allot. Any ideas? I've gotten to the end of my rope and an even starting to hate my 2 year old cat cause of it and i don't want that. Yes! So many stories of happy cats and dogs living happily ever after seem to occur when they are introduced from a young age. Always a difficult situations with not knowing who is more scared, the cat or the dog?! I do feel that its so important to put the two together at a very young age and they will play and get used to one and other. If that's not possible them a peaceful and calm home atmosphere will allow your clever dog to be more receptive than the the curious cat. Stroking both your cat and dog whilst sitting down will get them used to one another and eventually cuddling each other. Sounds like a very stressed cat! Please read through the article for tips and/or enroll the aid of a behavior professional. hey i have a ? I have a ferrel cat..im staying at my sisters..he attaks her dogs and will not stop? what do i do when its all the cat showing aggression? he rushes the dog as soon as he sees the k9 how do we deal with this? Thanks for stopping by and that you found the article helpful! Good thoughts and advice, alexadry. Would love to share it. Got some friends who owns both a dog and a cat. Useful and interesting piece! Nice Hub. Good advice. Voted up. I would never leave a cat and dog alone together until they've been acquainted for at least 2 months, and then only if I'm certain they get along. I've never found a problem with aggression from either side, so I guess I've been lucky so far.